Top Rent A Car football drama! 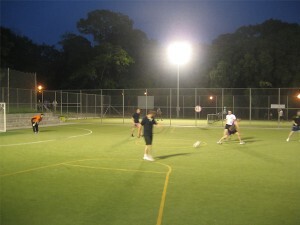 This phenomenal football game was played at Varna Sea Garden football fields. The team of “All the rest” got off to the perfect start when Niki Raykov gave them the lead in the first minute and things looked ominous for “The rental agents” as Gyursel Ismailov doubled the advantage 5 minutes later. The last 5 minutes was crucial for “All the rest” when the goalkeeper Momchil and the striker Ventsi scored for a draw and in the last minute Margarita headed the ball to Todor Todorov, who nodded the ball into the net. The return game will be played in couple of weeks. Stay tuned!